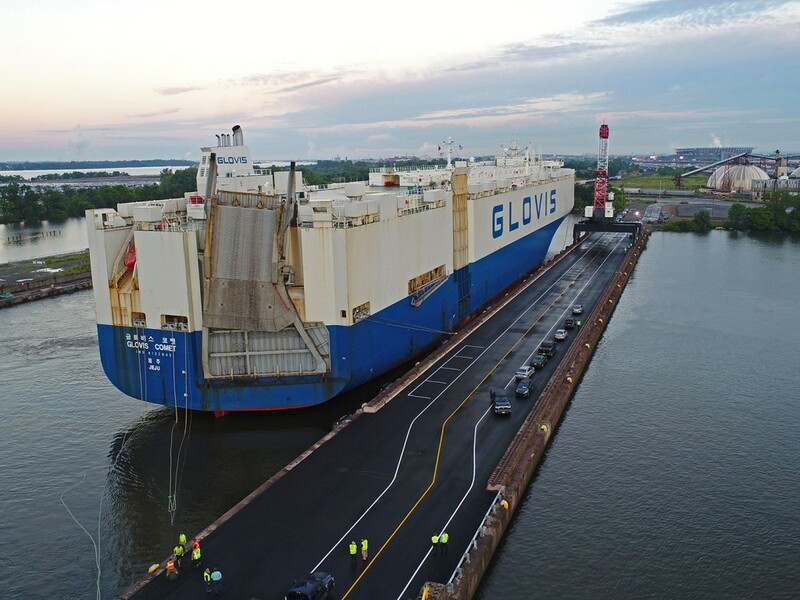 This morning at 0800 hours the M/V GLOVIS Comet commenced cargo operations at Pier 122. 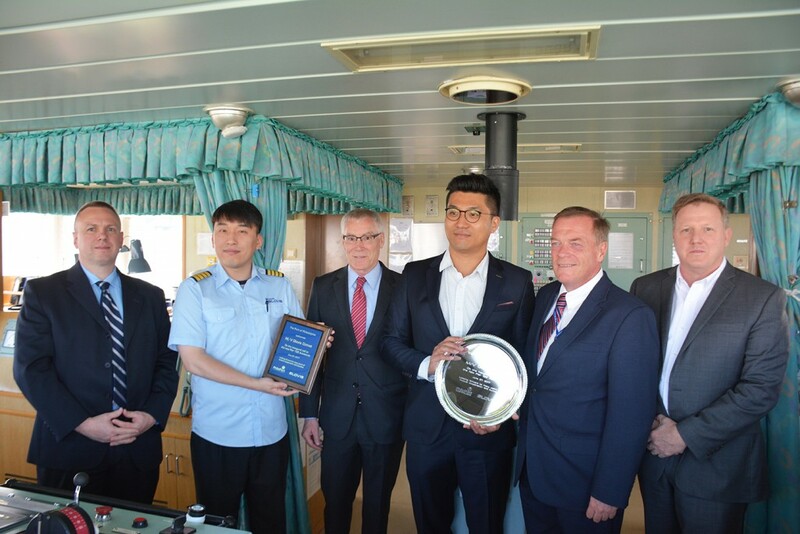 The arrival of the vessel from South Korea with its cargo of 2,176 Hyundai and Kia automobiles marks the first vessel to call the pier in twenty years, and gives the Port of Philadelphia a vital second berth for the importation and exportation of automobiles and roll-on roll-off (Ro-Ro) cargoes. In November, Governor Tom Wolf announced that the Commonwealth of Pennsylvania would invest $300 million into port infrastructure designed to more than double container capacity, creating a total of approximately 17,020 jobs and further establish PhilaPort as a multi-product, full service Port including expansion of finished vehicle cargoes. Development of a vessel berth directly adjacent to the VPC (vehicle processing center) was a high priority for PhilaPort. Pier 122 was purchased by PhilaPort from Conrail in 2007. The arrival of this vessel is the culmination of many steps taken by the Port, its customers and tenants. Prior to 2010, The Port of Philadelphia was not known to handle finished vehicles. Since that time volumes have grown significantly. It is anticipated that the Port will handle over 200,000 cars in 2017. Hyundai GLOVIS happens to be receiving their one millionth vehicle into PhilaPort next month. PhilaPort, The Port of Philadelphia, is an independent agency of the Commonwealth of Pennsylvania charged with the management, maintenance, marketing, and promotion of port facilities along the Delaware River in Pennsylvania, as well as strategic planning throughout the port district. PhilaPort works with its terminal operators to improve its facilities and to market those facilities to prospective port users around the world. Port cargoes and the activities they generate are responsible for thousands of direct and indirect jobs in the Philadelphia area and throughout Pennsylvania.